Ants are quite often infected by parasites. For example, tapeworms use ants as intermediate hosts for a part of their development phase before they complete their life cycle in their main host. Researchers at Johannes Gutenberg University Mainz (JGU) have now discovered that such parasites not only change the appearance and behavior of infected ants but also have an effect on the behavior of uninfected members of the colony. The overall aggressiveness of an ant colony diminishes if it contains members who are infected with a parasite. The investigations being undertaken by a team of Mainz-based evolutionary biologists headed by Professor Susanne Foitzik are designed to uncover the effects that parasites have on animal societies and to find out how the parasites manipulate the behavior of their hosts in order to better survive. Their findings have recently been published in Proceedings of the Royal Society B. The Temnothorax nylanderi ant species is native to western Europe and prefers to build its nests in acorns or dead wood on forest floors. 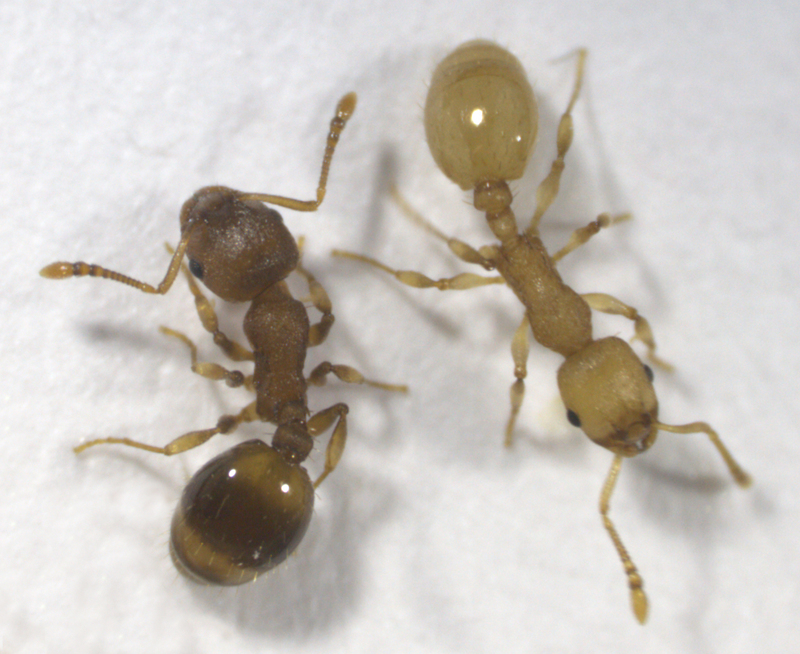 The workers are two to three millimeters long and form colonies of 50 to 200 insects. They serve as an intermediate host for the Anomotaenia brevis tapeworm, which infects the ants during the larval stage and lives in their intestines. Infected ants turn yellow and thus differ noticeably from their predominantly brown colleagues. They also become inactive and remain in the nest where they barely participate in social activities, such as caring for the brood. So that the tapeworm can complete its life cycle, its host ant must be eaten by the main host, a woodpecker. In the Lennebergwald forest, a wooded area of 700 hectares to the northwest of the city of Mainz, about a third of all ant colonies have the parasite and some 13 percent of the insects are infected. "The parasites have developed fascinating strategies to protect their interests and so ensure, for example, their proliferation," explained Professor Susanne Foitzik. "They attempt to influence the ants in such a way that they are more likely to be eaten by a woodpecker." There are various methods they employ in the case of Temnothorax nylanderi to achieve their ends. The study has shown that infected ants live longer than their uninfected nest-mates. "The longer lifespan may be due to modified genetic regulation but could also be the result of the fact that the infected insects enjoy a better level of feeding," points out Sara Beros, primary author of the study. They also exhibit less marked flight behavior in response to simulated woodpecker attacks, an effect that would increase the parasites' chances of being eaten by their definitive host. "The parasite's long arm" is how the authors of the study describe the effect that enables the tapeworms to manipulate both the infected ants as well as their uninfected nest-mates. One factor is that these nest-mates have a shorter lifespan and not just relative to the infected animals but also relative to the other ants from uninfected colonies. This is probably the result of the additional stress they experience because of the need to care for the infected animals while also having to do without their help when it comes to other social tasks. 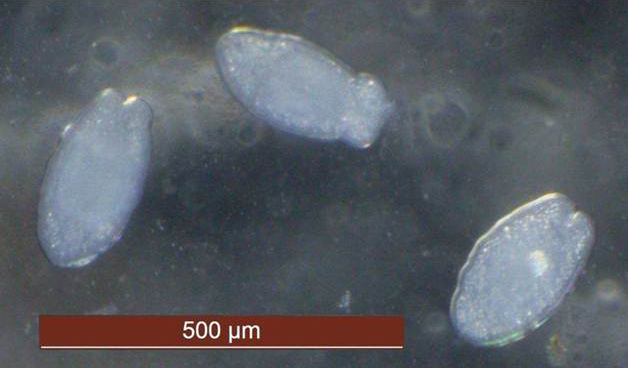 A parasitized colony is also far less aggressive towards intruders of the same species. The researchers assume that the reason for this is associated with the chemical profile of the infected insects that emit a different scent. Each colony has its own nest-specific odor that normally serves as a recognition signal for the group members. If the odor is disrupted by the presence of other scents, this has a negative effect on the readiness to defend the colony against intruders.